Image 1: Free form surface construction of the facade. The Planai West lift station was designed to have facade that mimics the curve of a carving swing. The shape of the facade was created as a free form surface in Maya (see image 1). For further steel construction, the surface was refined in a CAD software. 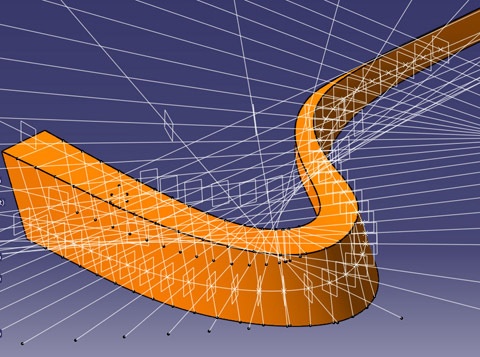 It is based on NURBS and constructed to have C² continuity. This improves the visual quality significantly. 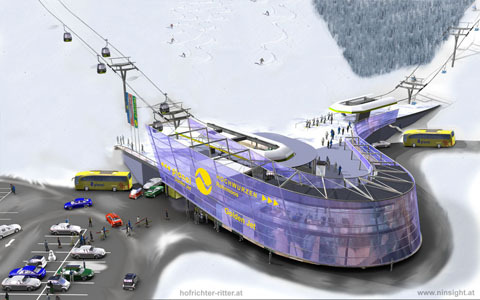 Image 2: Visualization of the lift station (rendering by Michael Stadler). The station consists of two floors. The lower floor is the ticketing and shopping area. The upper floor is the departure point for the journey uphill. In addition, it will incorporate a cafe/restaurant in the future. 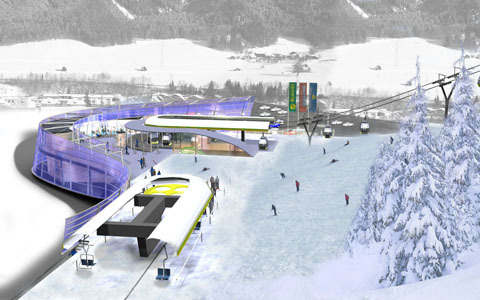 Image 3: Visualization of the lift station (rendering by Michael Stadler).